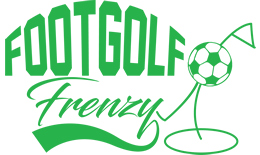 Why not come and give the up and coming craze of Footgolf a try at Riverside Footgolf. Whether you’re completely new to the game, or becoming an old hand, then Riverside will give you plenty of opportunity to learn new skills and develop your game. Footballs are available to hire, or you are very welcome to bring your own. Other than that, it is very simple to turn up and play. No fancy clothing required but sensible footwear is a must. The Footgolf rules are nice and simple, in essence the same as golf: who can get the ball in the hole in as few kicks as possible? Young and old will find it entertaining and challenging, and as it can be enjoyed in small groups it is an ideal family activity or for a jaunt with friends. Make the most of having a Footgolf venue on your doorstep with Riverside Footgolf.